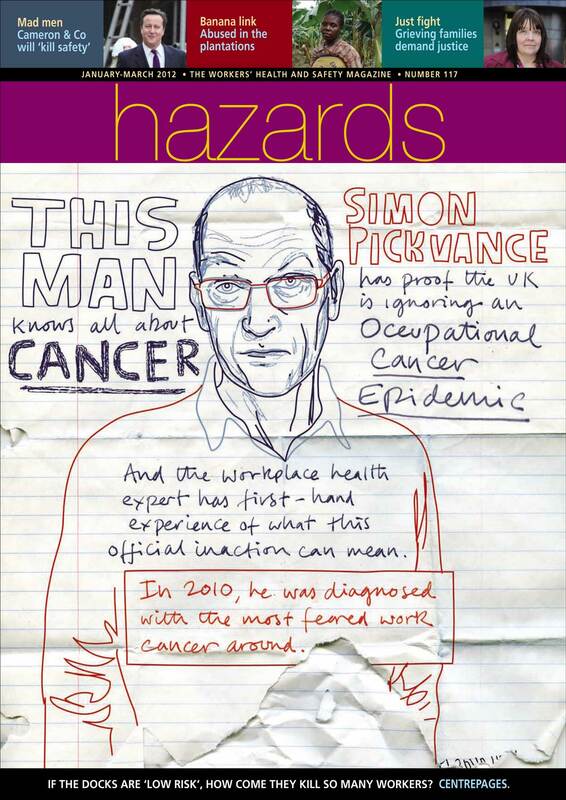 This man knows all about cancer, Hazards magazine, number 117, 2012. The piece focuses on the story of Simon Pickvance, a workplace health expert who has proof the UK is ignoring an occupational cancer epidemic. Pickvance has first-hand experience of what this official inaction can mean; in 2010, he was diagnosed with the most feared work cancer around. The article is the featured cover story, see cover image.